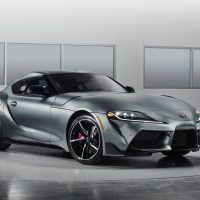 2020 Toyota Supra: It's Finally Here! 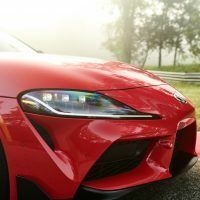 2020 Toyota Supra: It's Finally Here! 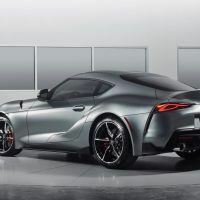 The 2020 Toyota Supra debuts at the North American International Auto Show. After a long wait – 21 years in fact – Supra fans finally receive their unicorn. Zero to 60 times are solid and the chassis setup is impressive. Okay, just calm down, calm down I say! 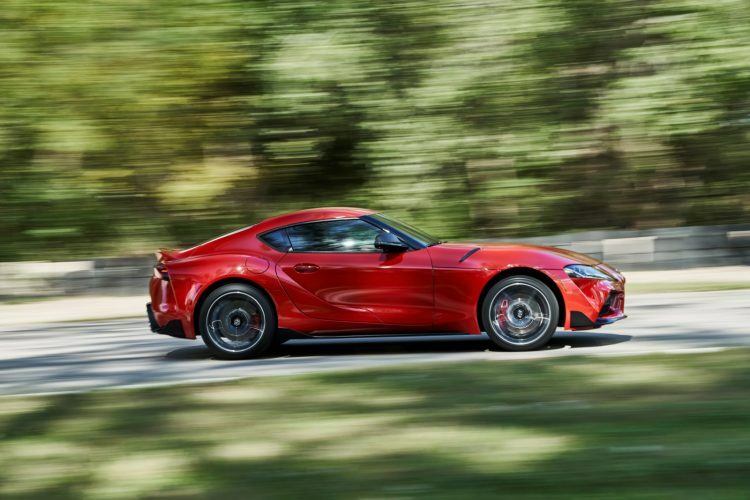 The 2020 Toyota Supra is here. 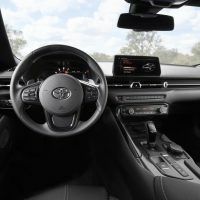 You will get your chance to bask in its glory, including tons of specs and performance numbers, in due time, but until then, you are going to have to calm down. You have been frothing at the mouth for this thing ever since . . . well, ever since the last one disappeared over 20 years ago. There has been a racket all over the automotive world for more than a year now. 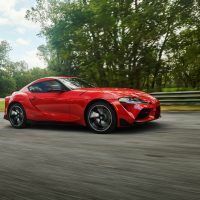 First it was there might be a new Supra from Toyota. 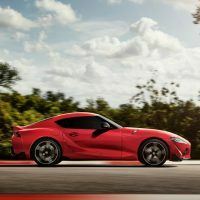 Then it was there will be a new Supra. 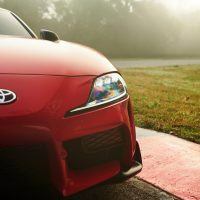 Last year, Toyota teased us with a GR Supra Racing Concept. 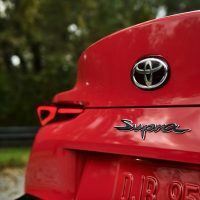 Then more and more details leaked (included a tasty partnership between Toyota and BMW), and now, here we are. 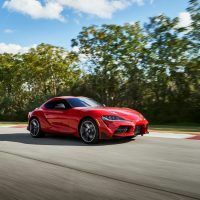 The upcoming fifth generation Supra was developed by Toyota and GAZOO racing, the guys that won Le Mans last year and have Fernando Alonso as one of their drivers. And, as everyone hoped, it’s chock full of performance goodies, high-tech or otherwise. 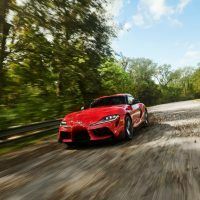 The 2020 Toyota Supra is powered by a 3.0-liter turbocharged inline six, kicking out 335 horsepower and 365 lb-ft. of torque. Good numbers. Great numbers, actually, given the displacement of the engine and the not-really-big size of the car itself. 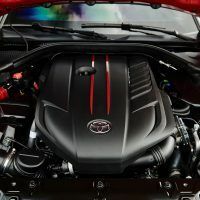 ‘Yota says thanks to the arrangement of the twin-scroll turbocharger, direct fuel injection, and the intake and exhaust camshaft’s (continuously variable) timing, the bulk of that torque comes on from low engine speeds. Huzzah! 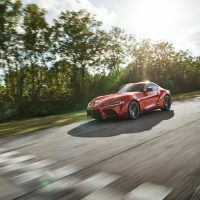 During development, the 2020 Toyota Supra was tested in France, Austria, Italy (including roads through the Alps), Germany (including the Nürburgring track), Sweden (ice and snow testing), the U.K., Japan, Australia, and the United States. 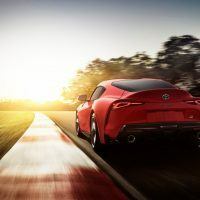 Photo: Toyota Motor Sales, U.S.A., Inc. The mill is bolted to an eight-speed automatic with paddle shifters, giving manual control when desired. However, there is no manual option. Sorry. No. None. Yes, yes I know. And I have not heard if Toyota hearkens to your lamentations. You will have to make do with a slush-box, although it is one of those nice modern ones that brings quick shifts to the table. It’s about as close as you can get to a true double-clutch auto-manual. I can understand this. Adding a semi-auto would have tacked on another ten grand to the price (I bet). 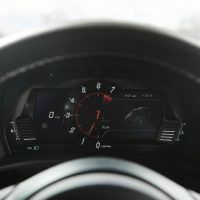 The ratios within the eight-speed auto-box are said to be short (no hard numbers given) for the lower gears and, thanks to a Launch Control system, you get strong acceleration and traction out of the gate. 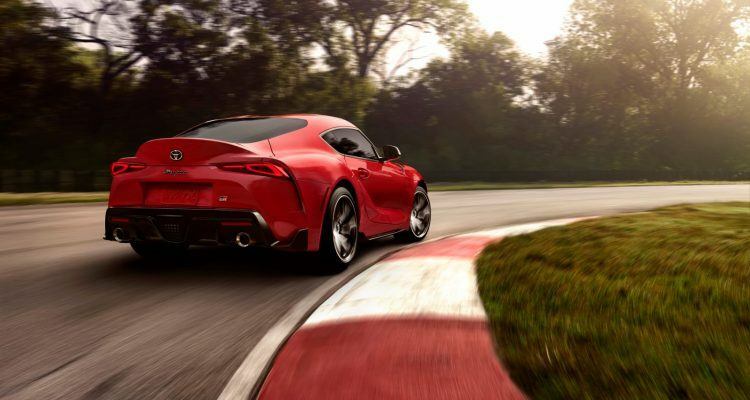 Toyota says 60 mph comes up in 4.1 seconds. The whole shootin’ match tops out at an electronically-limited 155 mph. There must be a way to top that, but I’ll leave that up to the aftermarket. 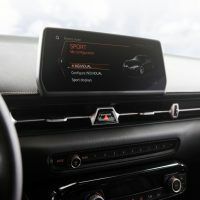 And whether this combination of tech wizardry and forced induction works off the line as well as an old fashion V8, we will have to wait and see. It’s only a matter of time until these things start showing up at grudge night this coming fall. 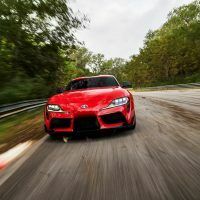 Toyota President Akio Toyoda personally tested the 2020 Supra on the Nürburgring and other tracks during development. 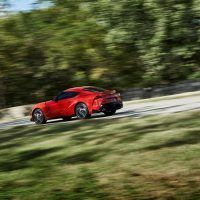 He said he wanted to make sure the new Supra far exceeded the expectations of eager fans. 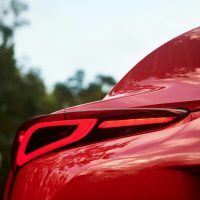 Photo: Toyota Motor Sales, U.S.A., Inc. 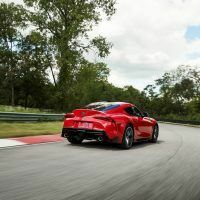 The 2020 Toyota Supra comes with two driving modes: Normal and Sport. 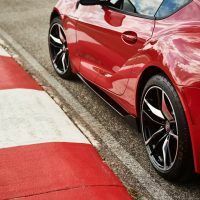 Sport is all about on-track capability and keeping standard computer nannies like traction and stability control out of your way as the driver. 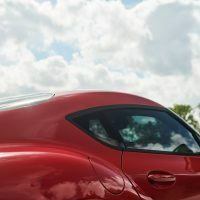 Sport Mode also improves throttle response and increases steering weight, while providing snappier shifts and more aggressive active differential tuning. Oh, and Sport Mode amplifies the exhaust sound. Who cares what your neighbors think! Here’s all you need to know about Normal Mode: Nothing. 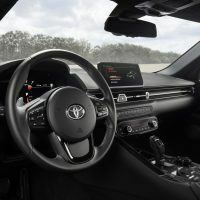 Toyota tells us absolutely zip, zero, nada, about Normal Mode. If it’s that unimportant, then why should I care? It’s probably just like driving a Corolla. Did I say “active differential?” Why yes, yes I did! 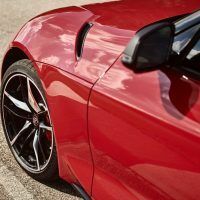 If you have already screwed around with a car with an active differential, then you will need no convincing that they are a thing of wonderment. 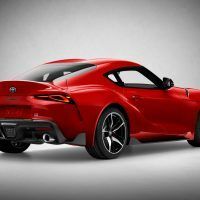 The new Supra should turn-in like a snake. Toyota has set it up so an electric motor and multi-plate clutches within the diff control lateral torque. And, as you would expect, this active diff controls torque distribution while cornering. End result: Greater momentum through a corner, higher speeds, and lower track times. The active differential controls torque distribution between the rear wheels, under acceleration and braking, for more precise cornering. 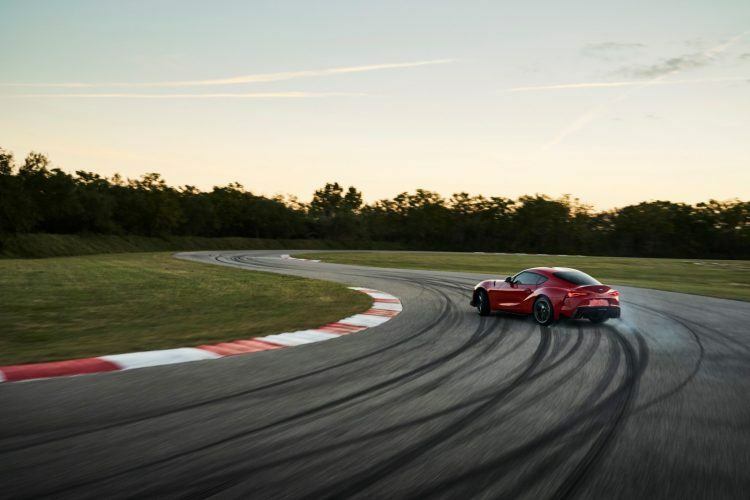 The active differential also reduces understeer and oversteer. 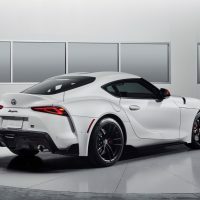 Photo: Toyota Motor Sales, U.S.A., Inc. The chassis is a classic setup, with structural rigidity, a low center of gravity, and 50:50 weight distribution among the focal points. There’s heavy steel bracing throughout. 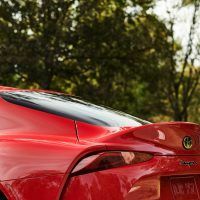 In fact, nine areas of the rear structure were identified as points to reinforce, which ultimately increase the Supra’s rigidity and neutral balance. 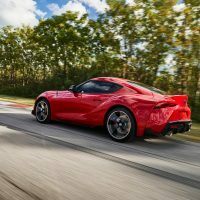 From there, Toyota specified the tuning for the new, double-joint spring strut front and multi-link rear suspension. 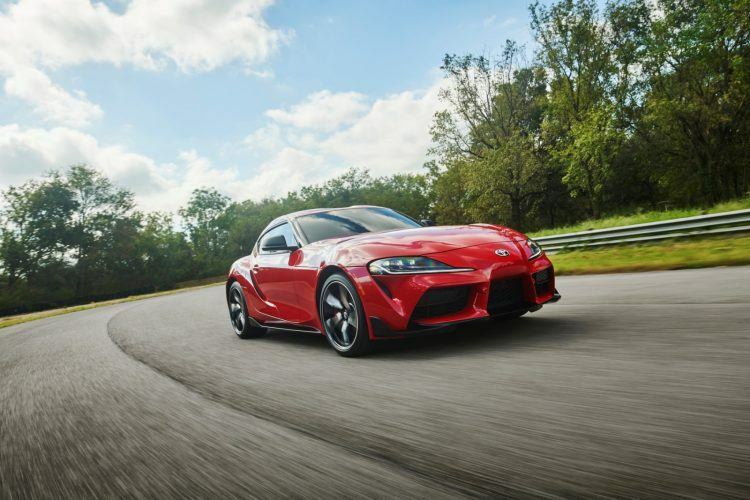 Further, Toyota says the front subframe and control arm mounting points increase rigidity, while the aluminum control arms reduce unsprung weight. Standard is an Adaptive Variable Suspension system that immediately adjusts damping in response to driver input and road conditions. The electric power steering is variable-assist, variable-ratio, and sport-tuned for precise handling. 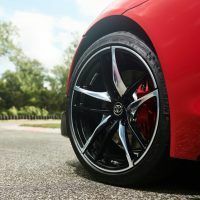 Standard 19-inch forged alloy wheels include 255/35R19 tires up front, and 275/35R19 meats in the back. Said tires are Michelin Pilot Super Sports. Whoaing all this up comes by way of four-piston Brembo calipers, clamping on 13.7-inch rotors at the front. 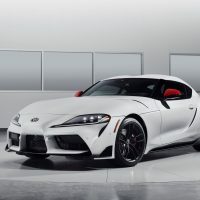 2020 Toyota Supra Launch Edition. 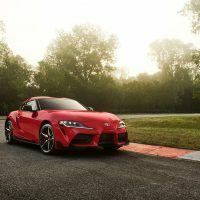 Photo: Toyota Motor Sales, U.S.A., Inc. 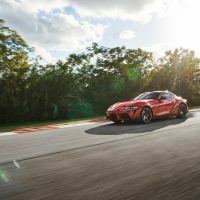 The 2020 Toyota Supra will be available in two grades, the 3.0 and 3.0 Premium, as well as a Launch Edition based on the 3.0 Premium grade. Colors include Renaissance Red 2.0, Nitro Yellow, Downshift Blue, Phantom Matte Gray, Absolute Zero White, Tungsten Silver, Turbulence Gray, and Nocturnal Black. 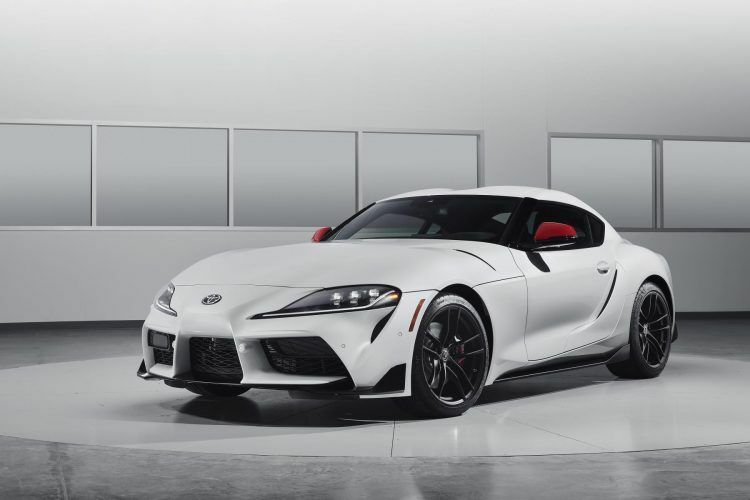 Expect the new Supra this summer for a starting MSRP of $50,920. The initial 1,500 Launch Edition models start at $56,180. 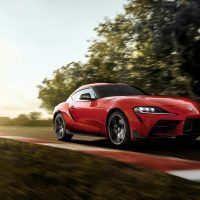 The 2020 Toyota Supra will be assembled at Magna Steyr in Graz, Austria. 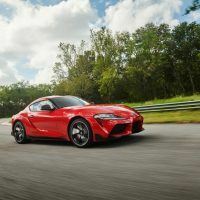 No Comments on "2020 Toyota Supra: It’s Finally Here!"